With the view of doing satellite operations with a simple non-steerable antenna a number of antenna designs are being reviewed and many of them will be revisited in search for the optimum simple satellite ground station configuration. The vision at this stage is to use the Kenwood TS-736R transceiver with a short 5mtr run of LMR400 low loss coax to a suitable mast head amplifier and antenna. 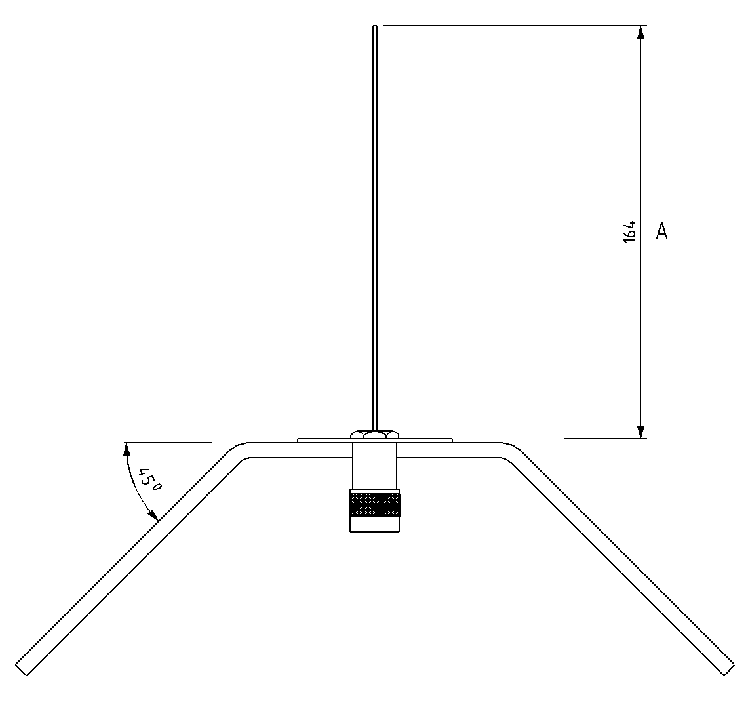 Signals will be weak as a non-steerable antenna will ideally have general hole of sky view with the result of little gain in any particular direction and therefore a quality mast head amplifier is likely to be a necessity if this system is to work. With the transceiver in place and the LMR400 coax run to the top of a small sub-mast mounted on the roof directly above the radio position the antenna is to be the next issue to be dealt with leaving the mast head amplifier to last. 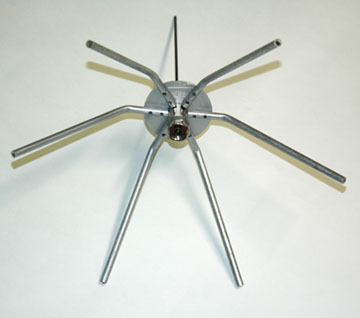 The antenna is to be regarded at this stage at least as being very experimental with the intention to trial a number of designs for comparison. 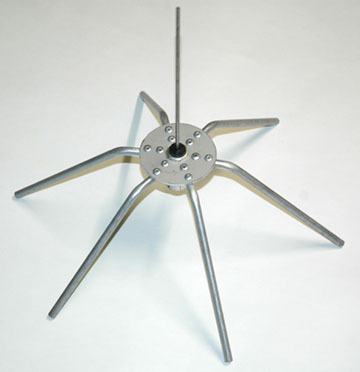 With this in mind a generic antenna mount has been installed on mast to allow for easy replacement of trial antennas. The antenna mounting is a standard antenna mirror mount bracket with a female to female N connector bulkhead socket fitted and all experimental antennas are to be constructed around male N connectors. This arrangement should be suitable for simple antennas such as 1/4 wave ground plane from frequencies as low as 50MHz to more complex collinear antennas in low GHz bands and represents a convenient test bed for trialling various antenna development not all necessarily for satellite operations. See: Generic Antenna Mount. The first antenna to be constructed as it has potential as a satellite up and down link antenna is a 1/4 wave ground plane centred on 435MHz. Table of 1/4 Ground Plan element dimensions for various local Australian and some international amateur radio bands. Constructed around a standard male N connector and a 60mm diameter aluminium radial mounting disk with a 15mm centre hole for attachment to the N connector with the standard coax gland screw cap. The radial elements have been attached with 2mm diameter pop-rivets and angled down at 45 deg approximately 25mm out from the disc edge. Bending the elements too close to the pop-rivets holes may cause the aluminium tube to break at the section weaken by the hole. The radiating element is fitted to a standard male N connector's coax centre pin and positioned in the N connector and secured with two part epoxy. A small rubber grommet has been fashioned to fit tightly in the end of the N connector body with a smearing of silicon to make to assembly water proof. Based on the inside diameter of the N connector body being approximately 9mm and the outside diameter of the sleeve being 4mm a result of a 49 Ω line impedance a very close continuation of the feed line impedance. 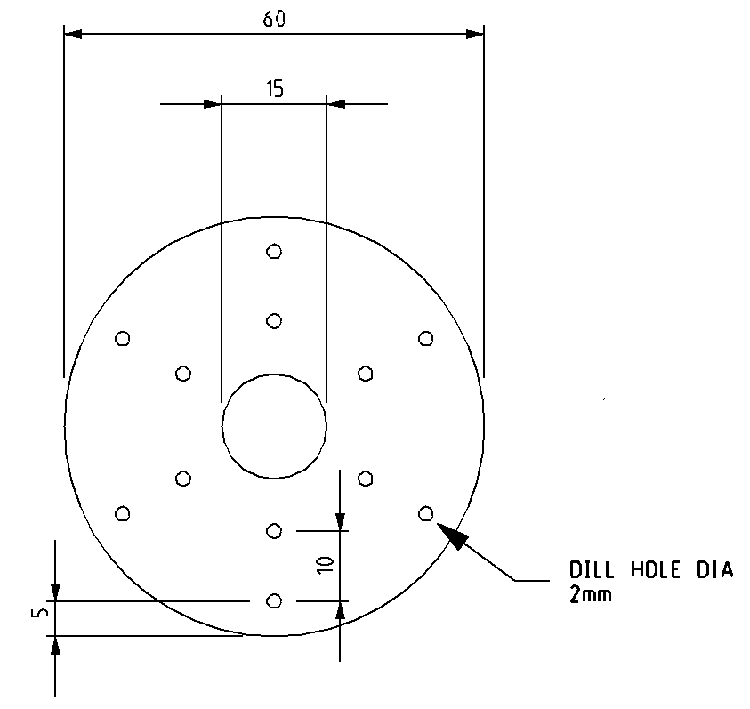 Fig 1 435MHz 1/4λ ground plane radial element mounting plate. 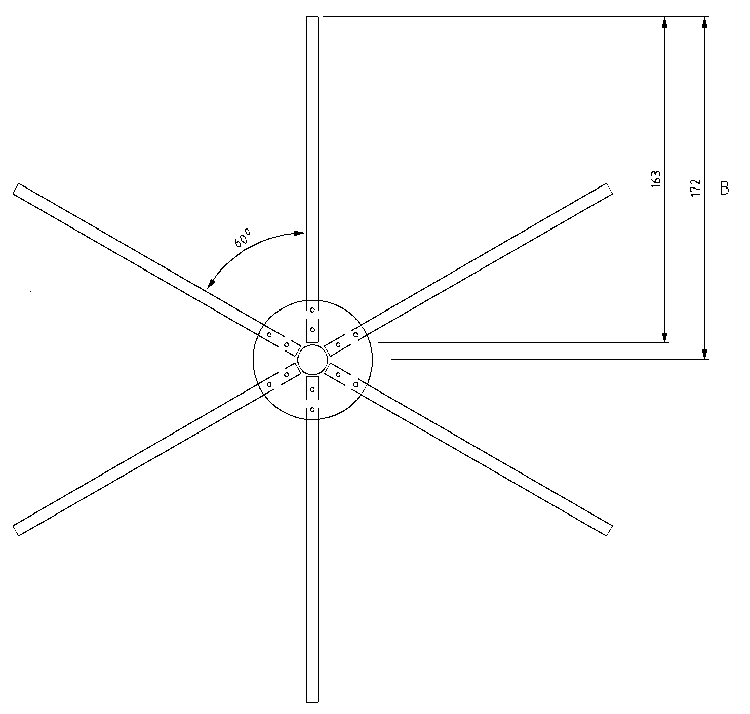 Fig 2 435MHz 1/4λ ground plane radial element assembled.